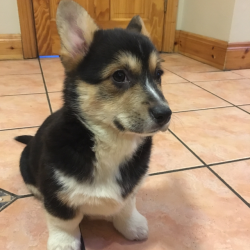 We have for sale 2 beautiful Pembroke Welsh Corgi Puppies. They are 10 weeks old and full of fun. They have been reared in our family home among children and other dogs. Both parents can be seen. 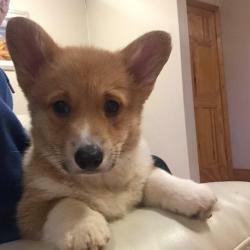 Mother - “Honey”- is our loving family pet and is excellent with children and other dogs, Father - "Cody" is from top UK bloodlines who also has an excellent temperament. These puppies are ready to go to good homes only. Note! This ad is now closed. 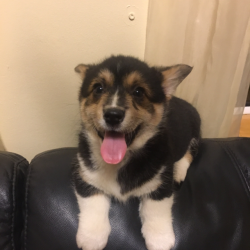 See other Corgis for sale. 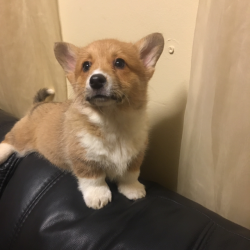 See other Corgis for sale.